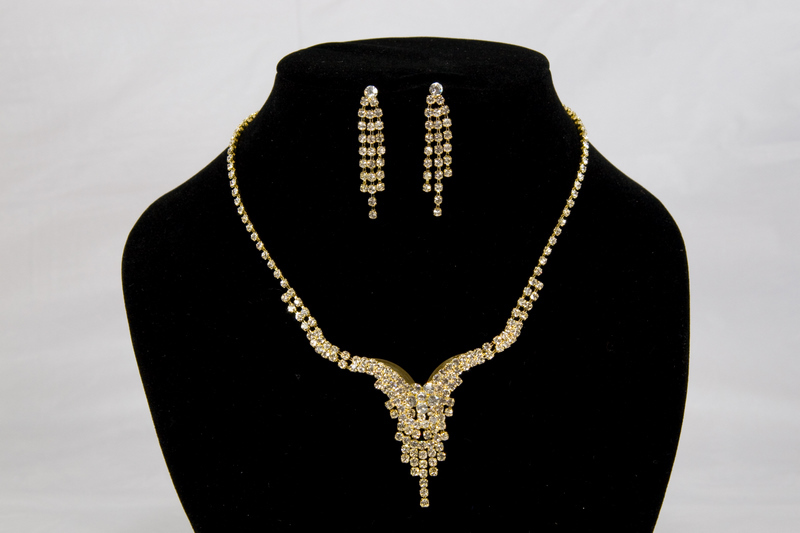 This jewelry set includes glamorous crystal necklace and pierced earrings. Necklace Set for weddings, proms, parties, pageants, first communion, or other special occasions. Size: Necklace is adjustable from 13" to 18" long. Matching earrings are about 1" to 2" long. It's a beautiful and stunning jewelry set for that special moment! This Jewelry Set is not made by swarovski but it's made with swarovski crystals.jewelry set for that special moment! This Jewelry Set is not made by swarovski but it's made with swarovski crystals. Notify me when "Swarovski Crystal Gold Necklace and Earring Set" is re-stocked.